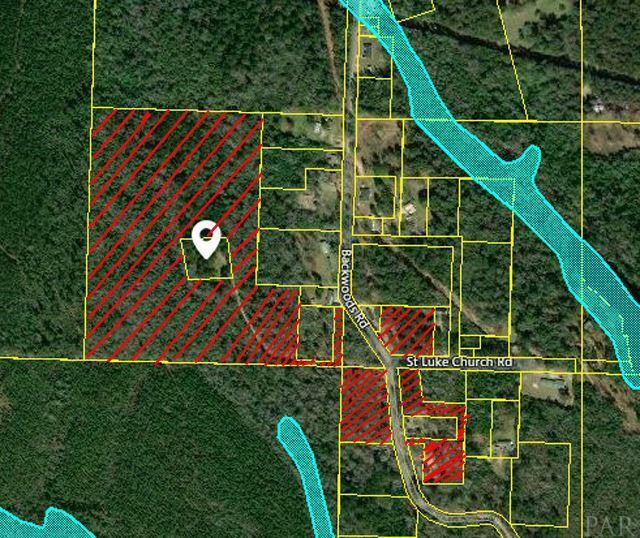 THERE ARE MULTIPLE PARCELS WITH VARIOUS ACREAGE JUST WEST OF CENTURY, FLORIDA. This is the largest stand-alone piece. 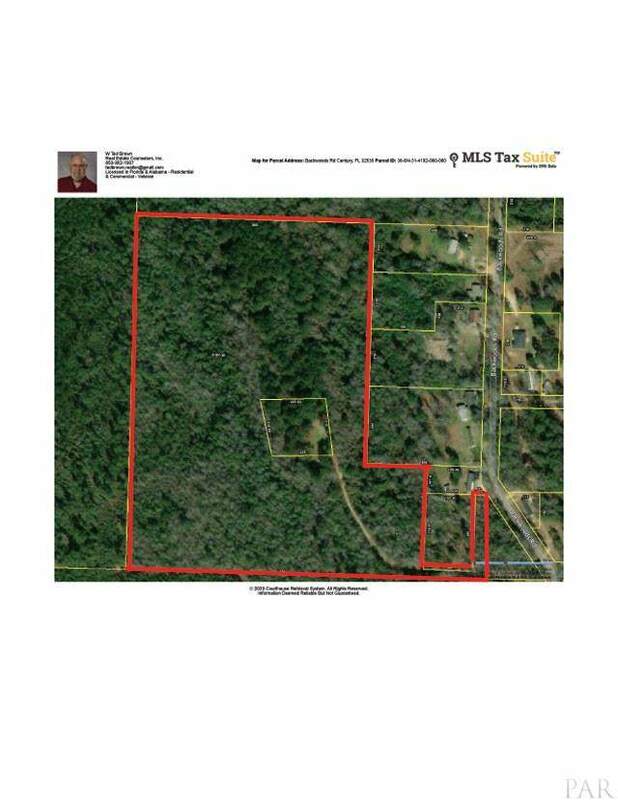 Wooded and has a dirt road that accesses this parcel and goes to a small approx. 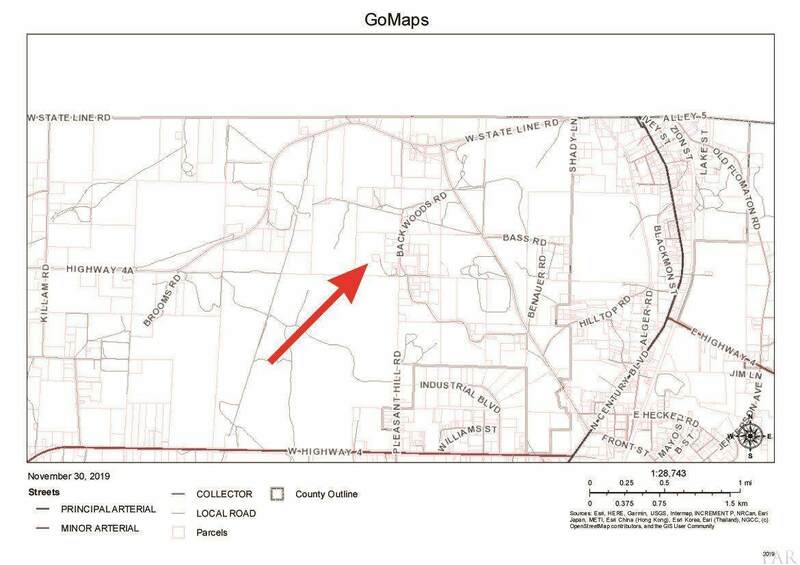 1 acre lot that is not included in this sale that lies near the center of the piece. The RR zoning allows many uses including commercial, farming, horses & other livestock, and residential with homes or mobile homes. Developers could use this large parcel to divide into 1/2 acre or larger lots None of this is in the official flood zone according to the map. This could be a great hunting preserve or farm / ranch. Please see the included photo that gives approximate sizes to the other various parcels. Contact listing agent for more info. Info and measurements are believed correct but buyer should confirm same. Listing provided courtesy of Real Estate Counselors.